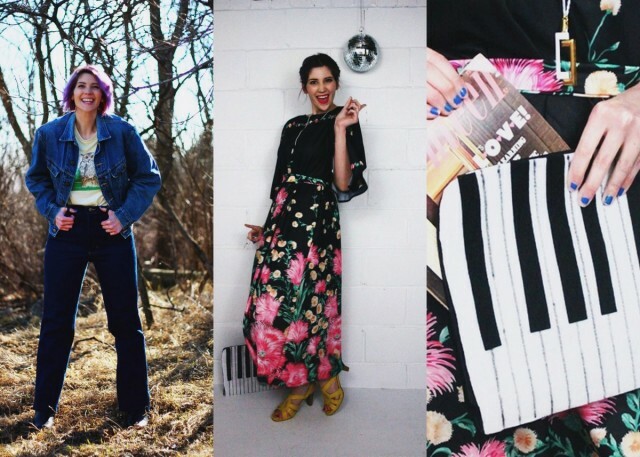 I went decade diving for the entire month of March and interpreted the fashions of yesteryear by means of magazines, movies, and pop culture of the time. 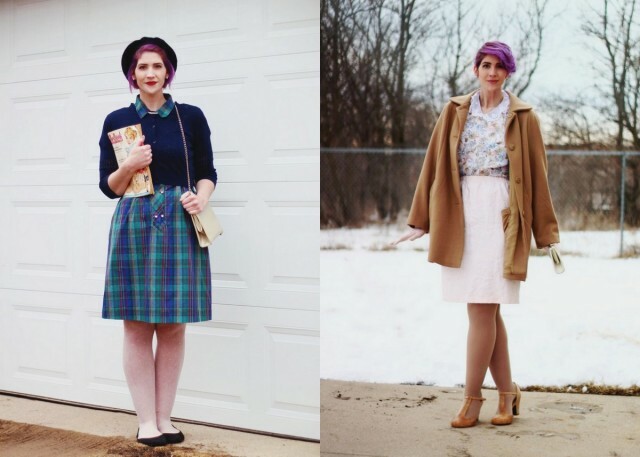 Each week I wore different outfits from the 1950’s-1980’s. 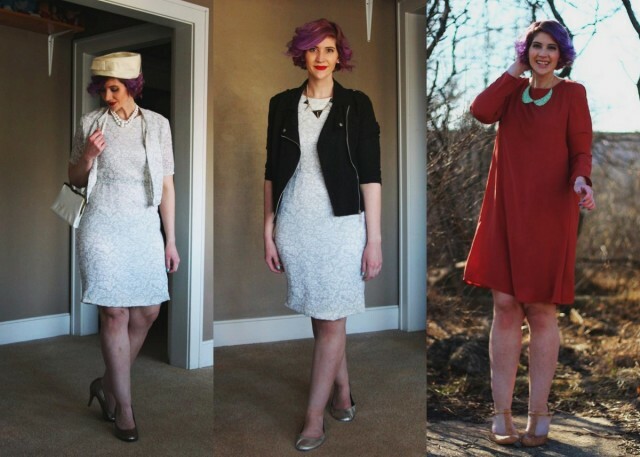 Today I’m looking back at the month and sharing what I learned from wearing old clothes. I had a lot of fun going outside of my comfort zone and trying out different styles from the past. Though I was convinced that I loved the ’80s and nothing more, I did learn that I have a soft spot for casual ’70s looks, am mad for ’60s mod, and the adore the colorplay of the 1950’s. Here’s a recap of my month as well as what I picked up from this style series! Before this challenge, my presumption of the 1950’s is that it was stuffy and conservative. After watching a handful of old films and flipping through old magazines, I found out just how wrong I was. The decade was vibrant and alive in it’s own way and I learned new ways to mix colors together from my closet. Nobody did monochrome dressing like ’50s. Nobody! 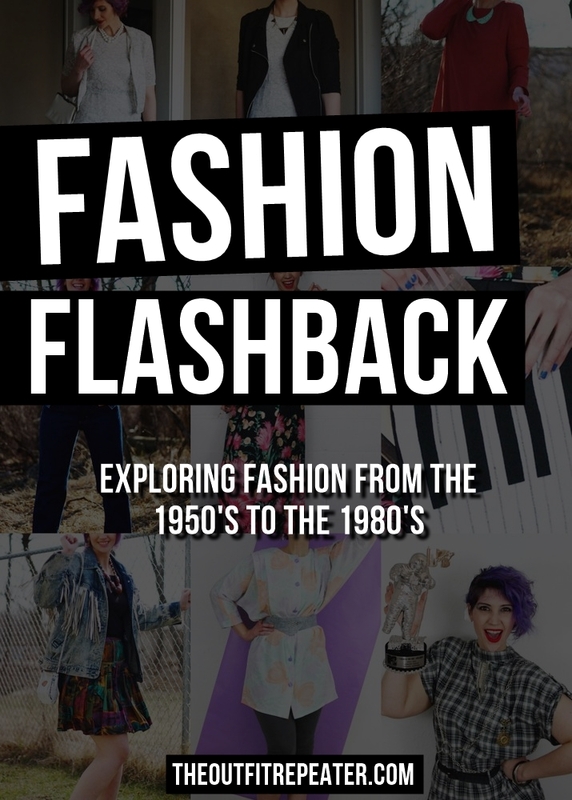 What I found in the ’60s is that it began taking big fashion risks and was about liberation from the tight ’50s styles. Mod was born, tent dresses ran amuck, and the patterns were wild. This was a really fun decade and I think I’ll keep a bit of it tucked away in my closet for a rainy day. You never know when you might need a psychedelic mini dress and go-go boots! Full disclosure: I could never tell the 1960’s and the 1970’s apart. I considered the 1970’s a second take on the ’60s. After further exploration of both decades, I can finally see the difference. The ’70s was laidback in a whole different way and denim finally became mainstream. You’d never catch a ’60s hippie in a disco dance club! Nothing surprised me about the 1980’s. I loved it before the challenge and I love it even more now. 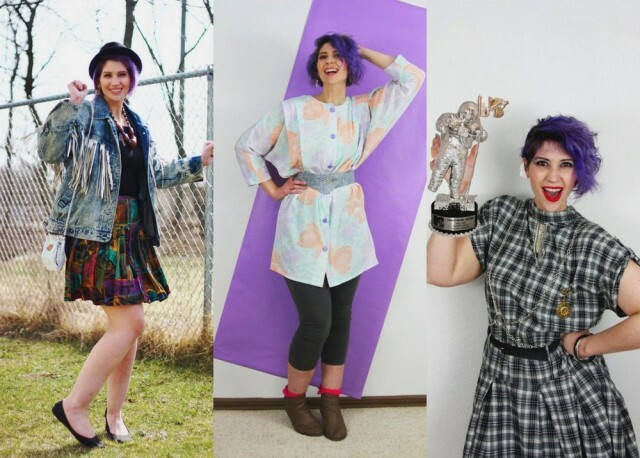 The decade is big, loud, colorful, over-the-top, and those are the kinds of risks I want to keep making with my personal style for years to come. I would highly encourage others to adapt a style challenge like this for themselves. Vintage was always something I liked but now I can appreciate it in a whole new way. And you don’t have to be in a classroom to learn about the good old days. Stop by your local library, surf the web, or visit a a thrift store to experience the past for yourself.